In a back yard near me, a man discovered a mysterious hole. He discovered it by digging. "The more dirt I took out, the more hole I found," he says. 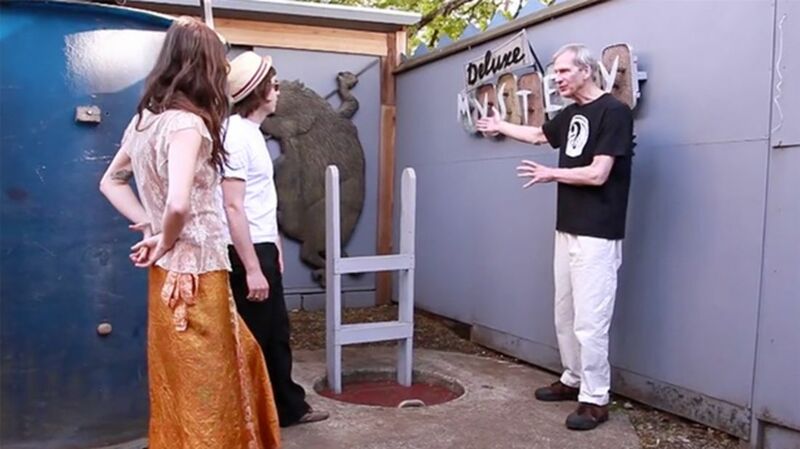 Known as "Barron Mind," he is the proprietor of the Woodstock Mystery Hole, a surprisingly large hole (plus tunnel) in southeast Portland, Oregon. The hole is in Barron's back yard, alongside the Mystery Hedge, Mystery Tower, Mystery Gate, Mirror of a Higher Truth (shattered in a 2008 windstorm), Mystery Wishing Pipe, Mystery Pole...well, the list goes on. Each of these attractions reveals a glimpse of Barron's wit. When he's not uncovering mysteries, Barron is a substitute teacher.